Exhibition: 4 November to 27 January 2018. 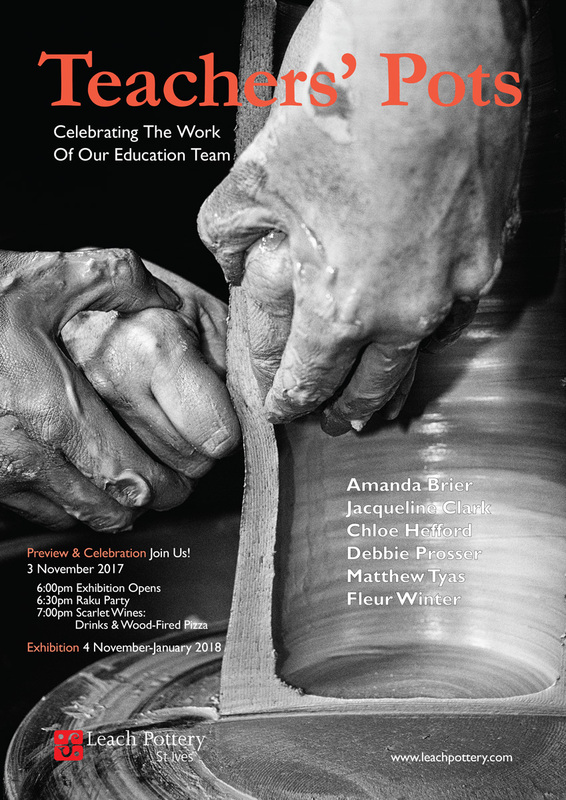 The Leach Pottery is excited to present ‘Teachers’ Pots’, a selling exhibition of new works by the Education Team. It includes the works of staff and freelance tutors alike, featuring Amanda Brier, Jacqueline Clark, Chloe Hefford, Debbie Prosser, Matthew Tyas, and Fleur Winter. Jacqueline Clark, a Learning and Participation Officer at the Leach Pottery, is a ceramics graduate from University of Wales, Cardiff. Jacqueline makes thrown and hand-built forms based on the environment where she lives in Devoran: the coastal landscape, and creek views, inform her aesthetic language. Debbie Prosser, a freelance tutor on the Leach Pottery’s Throwing Courses, is an experienced potter who first setup a workshop in Penhalvean, in1988, before eventually establishing her current workshop in Trembath, Newlyn, in 2009. 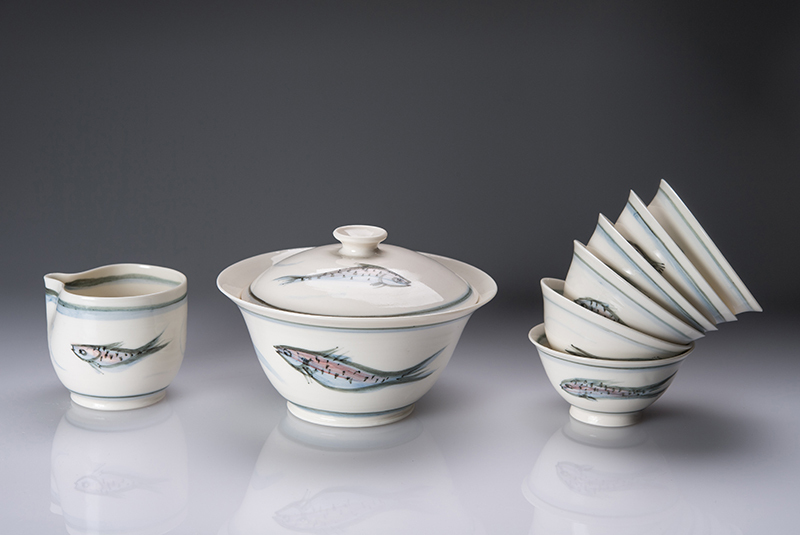 Debbie’s pots are typically made in porcelain, decorated with clear or celadon glazes on the inside, and the outsides treated with Terra Sigillata slip. Matthew Tyas, a freelance tutor on the Leach Pottery’s Throwing Courses, has been based in Cornwall for several years – originally coming to the county to undertake a research degree with the Leach Pottery. 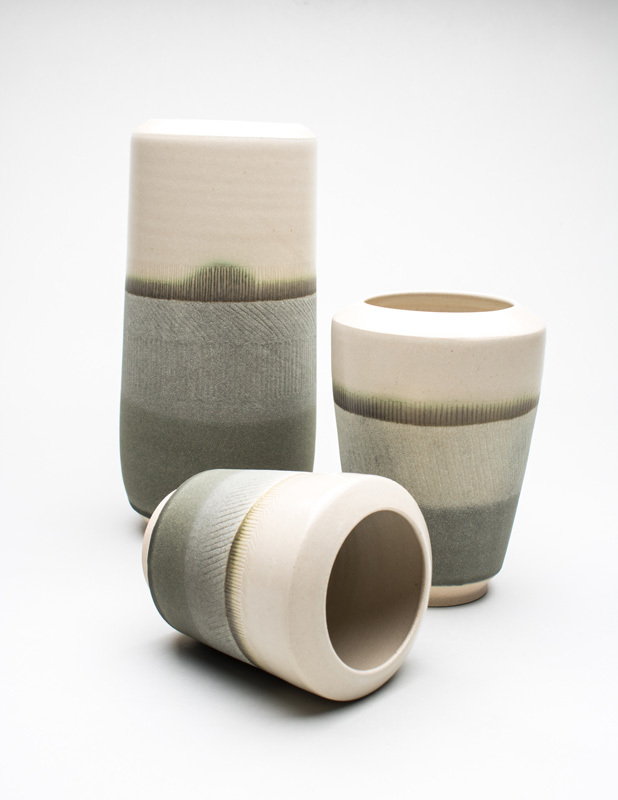 Matthew’s pots are typically stoneware, made using self-prepared and blended clays that have a sense of texture. 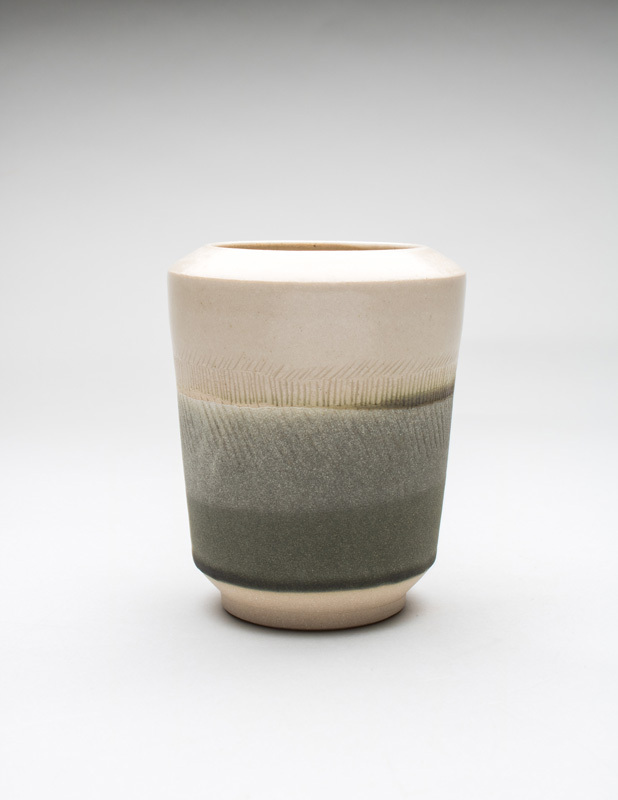 The glazes are often formulated in a way that allows them to develop their own character during the firing. Fleur Winter, a Learning and Participation Officer at the Leach Pottery, graduated from Brighton University in Wood, Metal, Plastics and Ceramics, in 2003, and has a varied background in teaching and learning. Fleur has been working with thin sheets of porcelain as if it were like cloth, using tacking methods to join the seams together to make new forms in clay. We will be hosting a unique exhibition opening, as we team-up with local wine merchant and restaurant Scarlet Wines. The evening’s theme continues from the popular and enjoyable ‘Fire It Up’ event last November, celebrating all things fiery: from cooking with flames to making pots with them, and keeping warm and drinking with friends beside the fire. As well as the opening of this exhibition the newly-built soda kiln, in Beagle Cross garden, will be used by Scarlet Wines as a wood-fired pop-up pizza oven to cook the perfect pizza at lightning speed. There will be music and a bar full of luscious wines and a selection of award-winning cider (including warming mulled cider) from craft producer Secret Orchard. Shelter will be provided by local company Jabula Stretch Tents. There will also be a Raku Firing Party on site, giving participants the unique opportunity to glaze pots in the Studio before watching them being fired in the Raku kiln. The great thing about Raku is that the pots will be ready to take away at the end of the night. The exhibition runs in the Entrance Gallery. All works for sale.